Chronic back pain is a term given to back pain which has been bothering a person for a long time, usually at least 12 weeks. This pain may have got gradually worse, or may have started sharply at the beginning, leading to a general ache once chronic. A word of caution; this often leads people to assume that their back pain is not important, because it is ‘only’ a dull ache. The opposite is the case – back pain is not normal! You should not have it at all! Instead, back pain is a feedback mechanism, it is your body telling you that something is not right. As a chiropractor, I would say that the most frequent thing I see in patients is chronic back pain. Although it can be difficult to overcome, it is usually very possible to do so with chiropractic treatments, advice and lifestyle changes. Poor posture: especially whilst seated and sleeping. Lack of exercise or general movement: your joints and muscles like to be used to maintain proper function. Bad habits: always moving a certain way gets your muscles and joints used to moving only in that pattern, which can lead to problems. Job factors: Again, posture and habits at work play a part. Underlying health problems: Other problems can manifest as back pain, although it is usually obvious to your chiropractor when this is the case. If your chiropractor suspects that you have an underlying health problem underlying your chronic back pain, you will be managed with other health professionals in order to deal with this as well. Can Chiropractic Treatments Help With Chronic Back Pain? Sometimes, chronic back pain resolves on it’s own. However, this is very quite rare, as there is always a reason for the problem to have lasted so long in the first place. Usually, you will not know exactly why you have chronic back pain. Otherwise, you would be able to do something about it very easily. Or, even if you know the cause, chiropractic treatment may be exactly what you need to start along the path to recovery. Remember, studies have shown that the sooner you have your problem assessed and treated by an expert like a chiropractor, the sooner you are likely to recover from the pain and dysfunction. Are There Any Chronic Back Pain Exercises? Yes there are many exercises and stretches which help greatly with chronic back pain. In fact, a portion of the treatment with Relief Chiropractic always consists of some exercises to help with healing the area by promoting normal function. This also helps patients regain some of the control of their own health, which is always a good thing. However, you should never do these exercises before you are ready and some of them can do more harm then good if a patient tries them in a dysfunctional state of health. For this reason, always refrain from exercises until your chiropractor has suggested that they would be of the maximum benefit. 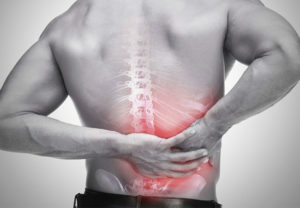 Chronic back pain is certainly the most common thing which Chiropractors see; back pain for over 12 weeks. The earlier you are seen by someone, the quicker your recovery is likely to be. Chronic back pain can be draining and depressing, often affecting people more than just by causing pain. Fortunately, chiropractic care is a very effective method of treating chronic low back pain.